After the summer break, we are pleased to present you several activities of ERN-TransplantChild in this beginning of autumn, including Working Groups, Events, and News related with ERNs. 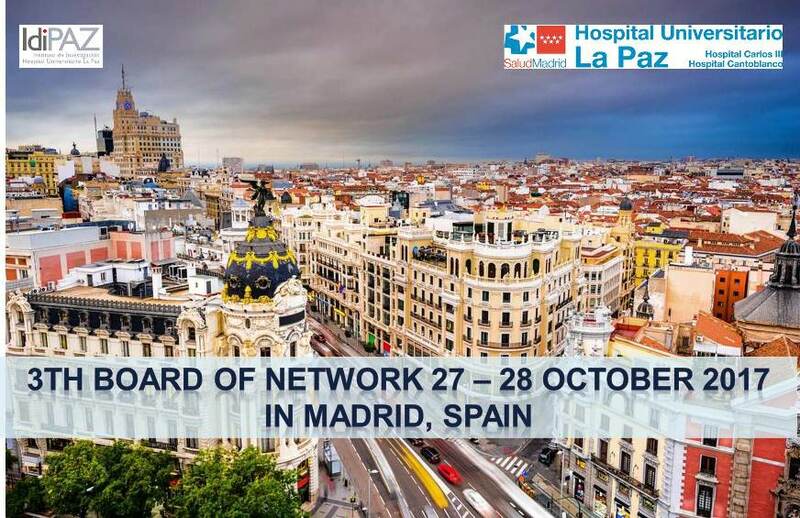 Also we take this opportunity to remember our next TransplantChild Board Meeting on Friday 27th and Saturday 28th of October 2017 in Madrid, Spain. Venue: Hospital Universitario La Paz de Madrid, Spain. In the last European Commission e-News (08/09/2017) of Health and Food Safety Directorate General, the Commissioner Mr. Vytenis Andriukaitis sent a message tittled: "Bringing back hope to patients on waiting lists all over Europe". The commissioner remarks about the potential of ERNs, in particular TransplantChild as promising new initiative: European Reference Networks. The European Commission is launching a open consultation on digital transformation of health and care to investigate the need for policy measures that will promote digital innovation for better health and care in Europe. Citizens, patient organisations, health and care professionals, public authorities, researchers, industries, investors and users of digital health tools are invited to respond to the consultation by 12 October 2017. ERNs new videos - TransplantChild:"Story of Paula"
The European Commission has released four new video testimonials from rare diseases patients, explaining how European Reference Networks for Rare Diseases help them. They chosen three ERNs to make a video about patients affected by the conditions included under the ERNs and one of them was a liver transplanted girl from Hospital la Paz: Story of Paula. 19th Sep - How to Use the CPMS for Collaboration (a rerun for those that missed it last week). The last month the Healthcare Working Group has launched their Survey to define the map of resources into the network. The survey will be closed in September 30/2017. The aim of this survey is to compile the current situation of research initiatives and interest at the Hospitals that are members of TransplantChild, and their related academics institutions. In the last call, TransplantChild presented the proposal called PRICISION: "European Network on Paediatric transplantation Risk stratification by Immunological biomarkers-driven Clinical ImmunoSuppressIon decisIONs. The Aim of this Action is to establish a European-led multidisciplinary network of researchers collaborating in the validation and standardization of immune biomarkers for personalized immunosuppressive therapy in paediatric transplantation.